Imagine a globally recognised CMP designation behind your name. In June of 2016 a group of senior Credit Professionals met at the World Credit Congress in Bucharest Romania. They acknowledged that no methodology exists whereby Credit Practitioners can obtain recognition for their Practical Experience to advance their careers in Credit Management. It was determined that the best vehicle to implement such a methodology would be an online process to verify and test the credit and collections practical knowledge and employment history as a Credit Practitioner. On completion of this, a record of the outcome would be enrolled on a global database. To enable this process the Global Certification Centre of Credit Management Practitioners (GCMP) was established. To establish the basis for confirming a basic core of knowledge, based upon work experience in Credit Management. To provide Practitioners, possessing experience in Credit Management, with a process to demonstrate it and be recognised. To create an awareness of the competency of Credit Management Practitioners to certified markets locally and internationally. To promote the Credit Management profession and Credit Management Practitioners. To inform Credit Management Practitioners of relevant events in the Credit Management Industry, globally. To put Credit Management Practitioners in contact with Associations, Institutes, Businesses and other Credit Management Practitioners to further their careers. 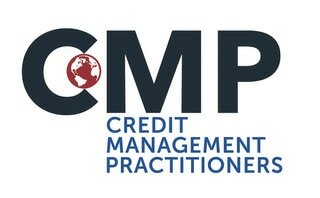 Credit Management Practitioners who are successful in the certification process, will receive a CMP designation as proof. Further, GCMP is in a position to provide direction for those designation holders, wishing to pursue further interaction within the profession, by providing the location of chartered associations. To provide more advanced education and employment opportunities to the CMP designation holder. Firstly - we need to recognise that 80% of all global sales are credit sales: indicating that the Credit Management function requires a strong and growing profession. GCMP is targeting assistance to individuals who may not even know that the potential for recognition of their experience is available. Via this route GCMP will provide an informed database of Credit Management Practitioners to meet the demand of businesses in need of their services. Secondly - the GCMP Founding Board has contributed significant IP to the project and will continue to develop and maintain strong value adding content and review processes going forward. This investment enhances the CMP designation on a global scale. * Read all about enhancing your career in Credit Management. * Apply and sit for the on-line test. We thank you for your time in reading this letter and trust that you will soon join the circle of Credit Management Practitioners proudly displaying their CMP designation behind their name.